If you have a busy lifestyle then the Learner Driver Programme may be perfect for you. 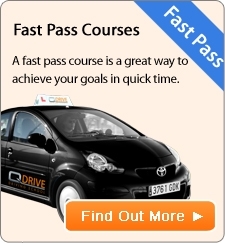 It means you have the right support to help you get through the theory and practical test. It's totally free. We help you through each stage of the process. What is Learn on the Go - Text & Learn Support? Every week you'll get a text message on questions related to the theory test and practical information to your lesson, so your continuously learning on the go! (and of course you can opt in or out of this service when you want it). Latest research* shows that many pupils are learning theory practice in isolation, rather than having an integrated approach with the practical learning. Many learners also leave the theory test to the last minute! We strictly keep to the Driving Standard Agency approved syllabus and take you through each driving topic until you can remember what to do without help from your instructor. These simple and easy teaching techniques will help you pass your theory and practical test quicker. *Road safety research report No 87: Learning to Drive: The Evidence. Department of Transport, May 2008.